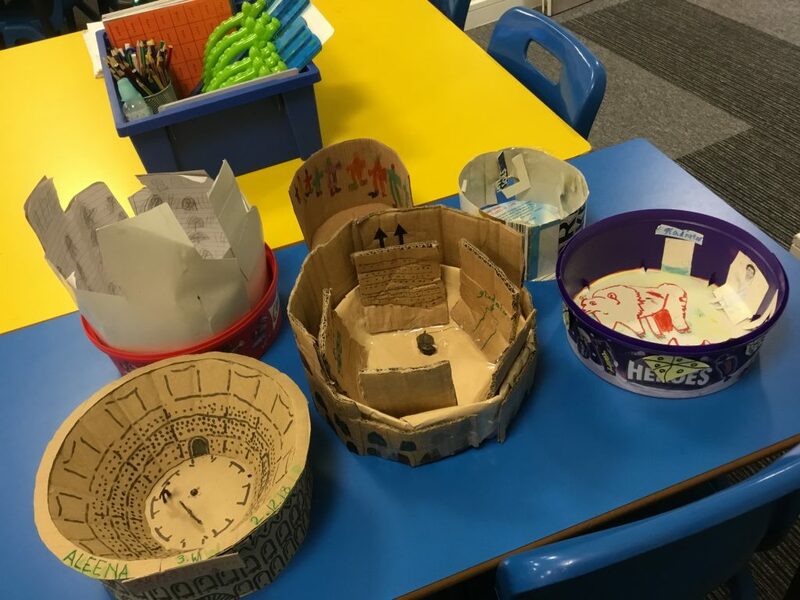 3 White’s WOW homework this week was to create a model amphitheatre as we have been studying the Romans in our topic lessons. 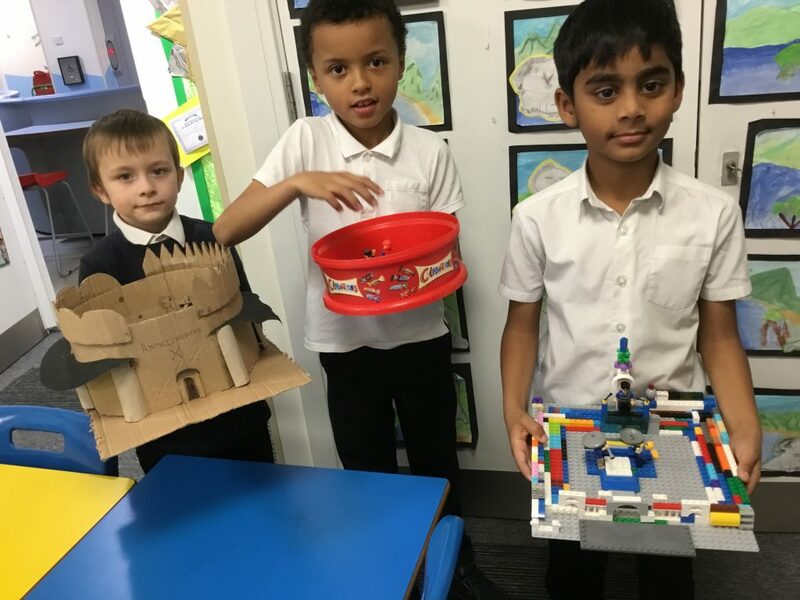 Mrs Street and I are extremely impressed with the effort that many of the children and parents have made in creating their amphitheatre. 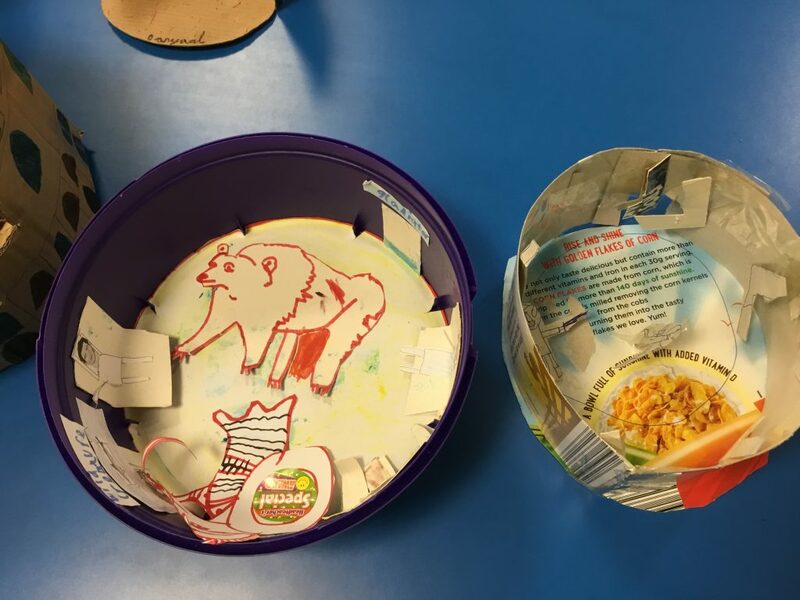 Please see our wonderful masterpieces. 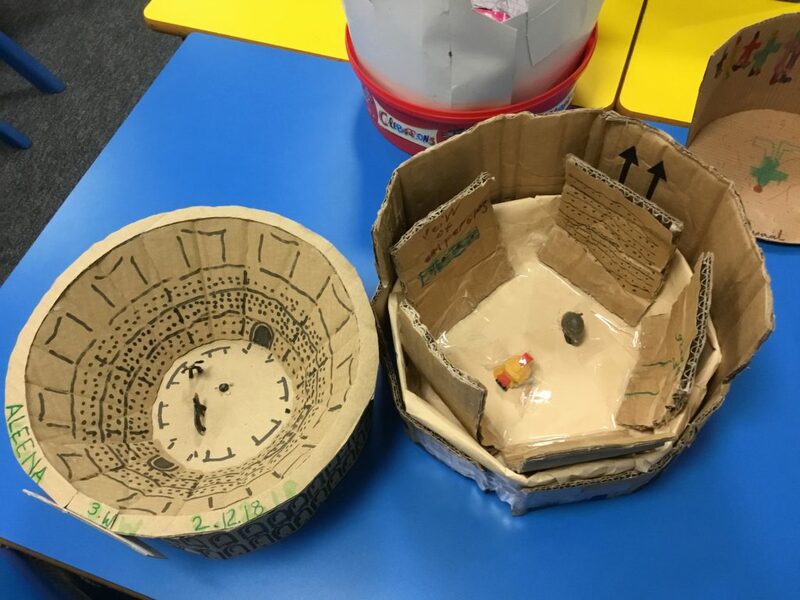 What happened in a Roman amphitheatre? Well done to the people who made a amphitheater. In a Roman amphitheater, the use to give out some bet ,fight to their death and when it is finish and they die they put more sand to cover the blood. In a Roman amphitheater a gladiator had to fight a slave,wild animals or another gladiator. In amphitheatre they fight until someone meets their own death. In a amphitheater they have a dangerous fight the person hoo wins they have to beet a tiger. Well done to the people who made an Amphitheatre. They fight to there death,they give out bet to see who wins. Doing your homework is important so we’ll done and keep on gaining. They cheer when someone wins. In the amphitheater they fight with a person or an animal.